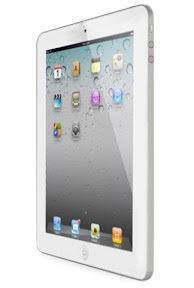 Yesterday Apple unveiled the new iPad 2 and the iOS 4.3 upgrade. 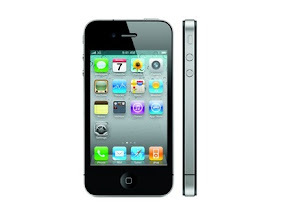 I think it is time to upgrade the iPhone 4, at least the iOS. I am an early adapter of the iPhone. I had the 2G, the 3G and since last year the iPhone 4. In the first week or so I was excited about the phone, the cameras and how fast it is, now i wished the phone would be better. The iPhone notifications are still looking like in last century. A simple alert box, no design around. I wished a notification could include images and design to visualize from which app the notification is coming. Like as an example a real twitter tweet. Not only they look cheap but the push does not work really well. As an example i see only that there are 15 new updates of my apps when I go into my app store. The push is almost never up to date, what is the problem for Apple to make this working? In the first month or so, when i switched to taking photos the camera opened instantly. Now after 6 months it is as slow as on the 3G. It takes up to 20 seconds till I can take a picture, which made me miss the best moments of my son to capture. My memory has plenty space (2G free), i cleaned and rebooted the iPhone and I made a clean install. Still it is slow. I almost believe it is intentional that i buy me a new one in summer. I have multiple Apple devices and all of them have contact and calendar synced through mobile me. But for some reason the sync does work weird. As a result I have some contacts 5 to 10 times. I am always cleaning up and still it happens. Mobile me does not really allow me to have a master where I can delete and all is fine. I take a lot of pictures and save them in mobile me, but ironic most of the iphone apps i use can't access mobile me to open the photos, which I need to retouch or optimize them. I never liked flash, but the reality is that still many websites are using flash and I really hate that i can't have flash. Why not having a native plugin which can read and display flash. If you don't like flash (steve) then build your own rendering machine to display flash. The issue is many times not the swf file, it is the engine which renders the swf on screen. Please work on this. The iPhone is a beautiful device and so full of technology. But unable to be really smart. As soon i have only 1 wifi bar the phone tries to connect with wifi instead of using 3G. As a result my Internet connection is slow and i have manual to switch wifi off to surf the web. Make it smart, make it that it can use both at the same time and deliver always the fastest access. I don't care if i connected over wifi or 3G, I just want the fastest access as possible. For people who have no unlimited data plan allow them to switch this function off, if you are concerned. Why do i need to pay another $30 if i want to share my iPhone internet with my iPad? Ok it is not really an Apple issue but they should not allow carriers to take our money so easy out of our pocket. This is useless rip off which has not economical sense. I am not a heavy user, but why do i need to charge the iPhone every day? I miss the time when i could use my Siemens phone a week before charging. Who are you? Why do you think you can decide what i do with my iPhone? Why can't I install apps i want, why do you not allow certain apps to be in the app store? Am i not mature enough to know and decide what i want to do with my phone? Even with the risk to break it? There are geeks in the world and they buy Androids because it fits them more. If you are concerned, then have it as an option. Average user could switch the function off to allow only special Apple approved apps and the rest can do what they want. Then you would have millions less users jailbreaking the iPhone and there would be no need for Cyndia. Unfortunately I will stay with the iPhone, but only because my whole infrastructure is Apple. I still have the hope Apple will listen and consider all this in the new release of iOS and iPhone. Most of this is even true for the iPad. The iPad biggest issue is syncing with iTunes and iPhoto, it is just messed up.I have so many videos and photos which don't sync from the iPad to iPhoto. I had to buy an extra software to do it manually.